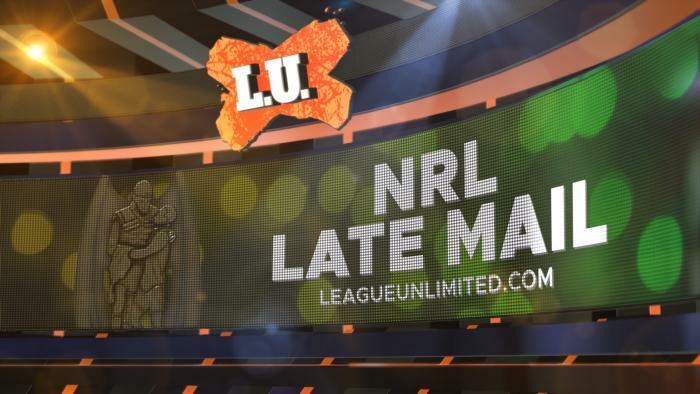 GET all the Late Mail ahead of tonight's meeting between the South Sydney Rabbitohs and the Warriors at Optus Stadium. ALL the results and scorers from the final weekend of NRL Trial action including the Smith-Thurston testimonial and Charity Shield. ALL the results and scorers from the second weekend of the NRL pre-season, including the 2018 Downer World Club Challenge. FIJI have opened their Rugby League World Cup campaign with a big statement after a 58-12 victory over a gutsy United States side in front of 5,000 fans in Townsville. PAPUA New Guinea have opened their Rugby League World Cup in style with a 50-6 blitz over Wales in hot, humid and noisy conditions in Port Moresby. GET all the Late Mail ahead of today's game between the Papua New Guinea and the Wales at National Football Stadium. THE Wests Tigers have farewelled James Tedesco and Aaron Woods in style with a 28-16 victory to close the NRL regular season in front of 10,000 fans at Leichhardt Oval. GET all the Late Mail ahead of tonight's clash between the Wests Tigers and the Warriors at Leichhardt Oval. MANLY'S hopes of a top four finish have been left in tatters - and their top eight chances left hanging as well - after a 30-16 defeat at the hands of the Canterbury Bulldogs. GET all the Late Mail ahead of this afternoon's battle between the Canterbury-Bankstown Bulldogs and the Manly-Warringah Sea Eagles.